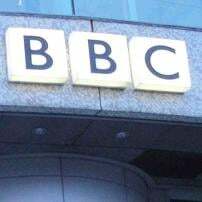 The BBC is proposing to set up a new World Service satellite news channel for Russian speakers, in a direct challenge to Russia Today, the Kremlin-funded television service found guilty of impartiality breaches. The World Service would expand services in Russia, North Korea, the Middle East and other territories where state-sponsored broadcasters are denying audiences an impartial and independent source of news. The problem for the BBC is, however, that it already has a larger budget than RT, plus a half-century head-start. The problem is not about a lack of funding, it is about a lack of credibility, something all the money on Wall Street and London cannot buy. There is an old adage that goes something like this: “It takes many good deeds to build a good reputation, and only one bad one to lose it.” For the media houses of Wall Street and London their “good reputation” wasn’t even really built up upon good deeds. Their reputation was built up upon endemic ignorance throughout the general public, fancy suits, and million-dollar studios. Reputation was built upon marketing, something Wall Street and London understand very well. Marketing a cheap, faulty product is very similar to marketing lies. A cheap, faulty product is sold, profits are made and all before the customer realizes they have been cheated. Within a monopoly, even when the customer realizes they have been cheated, they have little choice but to be victimized by these hustlers again and again. While the Western media sells obvious lies to the public over and over again, for the decades following the advent of TV and radio, they held a monopoly over information giving their audiences few alternatives. For the longest time those in the West enjoyed a monopoly. Compared to the clunky state propaganda of the Soviet Union, China or any given nation the West sought to undermine, the slick presentations of the Western media were unparalleled. Their ability to make state and corporate-run propaganda look “independent” was perhaps the most important illusion they created. The amount of investment and time needed to build and perfect the marketing of lies through a media industrial complex was something only the West could have done. But times are changing. Technology, ever the great equalizer between those that have and those that have not, has granted even the smallest players (even single individuals) in the media the ability to reach millions of readers, viewers, or listeners. And as the playing field levels out, money and slick marketing is no longer as much of an advantage as it once was. The real and only meaningful advantage now is credibility. Do your reports stand up to the test of time? Does something you claim today turn out to be the truth tomorrow? Do your reports contain actual information instead of spin dressed up as such? Do your reports smack of obvious bias, so much so that people seeking the truth don’t even bother reading them? In the modern world of media, where everyone now has fancy suits and well-equipped studios, the quality and veracity of one’s content serves as the only distinguishing factor separating one outlet from another. People need accurate information to make sound decisions about their future. Deciding something based on a lie or obvious propaganda, can be disastrous, even deadly. If the BBC truly wanted to compete with RT, it should invest in its credibility, not simply expanding the reach of its discredited lies. For now, the truth suits Russia. In Ukraine, there really are Neo-Nazis running the government and marching in the streets, just as RT has said all along. The BBC is perhaps one of the few networks still refusing to admit as much, even as mobs flying fascist flags clash with the police in Kiev where injuries and even deaths are now taking place. When something is transpiring in front of the eyes of the world, and yet the BBC still refuses to accurately report on it, people turn elsewhere to understand what they are seeing. RT, for now, names names and sends readers, viewers and listeners to where they can get more, and more importantly, relevant information. That could always change for RT. But the BBC along with the rest of the Western media should serve as an example and a warning to RT, and other national broadcasters working to break the West’s monopoly over the flow of information. However tempting it might be in the short-term to bend the truth, in the long term credibility is far more valuable than gold, harder to find, and harder to protect. Wall Street and London have all the “gold” in the world, yet with it, they find it impossible to acquire the credibility they need to get people to listen to their side of the story. And ironically, credibility doesn’t really require any money at all to acquire. While having studios, channels, and well promoted websites helps increase exposure (something money can buy) any credibility associated with that exposure is acquired simply through the merit of the writers and reporters involved. The human quality of those involved in the information war is directly proportional to the amount of credibility any given network acquires. RT and others across the South and East should keep this lesson above all others close to heart. They are winning the information war, and this is precisely why. The Independent fails to mention that despite what they claim are large sums of money by Russia invested into RT, that the BBC alone is still funded more. Taking into account that the BBC is just one of several massive media networks maintained by the West, all of whom coordinate their narratives, Western spending on media dwarfs that of Russia many times over. The annual budget of RT is estimated to be approximately 300 million USD. Compare that with the BBC’s World Service who alone is funded some 370 million USD while the US State Department’s Broadcasting Board of Governors (BBG) who manages Voice of America, Radio Free Europe / Radio Liberty, Radio Free Asia, and many others, receives annually 752 million USD. CNN alone consumes some 750 million USD annually. Then there are local “independent” media operations around the world funded directly by the US State Department through Freedom House, the National Endowment for Democracy, the National Democratic Institute and the International Republican Institute. The planet is essentially swimming in the lies of the US and UK. Clearly money and exposure is not their problem. Credibility is. The problem the US and UK face is that their joint enterprise upon planet Earth is predicated upon lying, deceiving and exploiting humanity. Telling the truth is not an option for them unless the basic premise they labor under was somehow changed. And because of that simple fact, their winning of the information war is not a possibility so long as their opponents use credibility rather than chronic deceit as their daily currency.